Dr Daniel Gabelman, another friend of this blog, wrote about George MacDonald and G. K. Chesterton. Kate Wolford, editor of Enchanted Conversation and, yes, a friend of this blog, has a striking essay about her experiences teaching Hans Christian Andersen to undergraduates. My own chapter examines the esoteric fool in stories by James Thurber and Neil Gaiman. Yeah, it’s as weird as it sounds. Claire Massey, the anthology’s fairy godmother, wrote a strange new fairy tale about a little boy and a lamp post and a lot of dust. A story by my own brother tells the tale of a land with no stories, and a few songs thrown in. 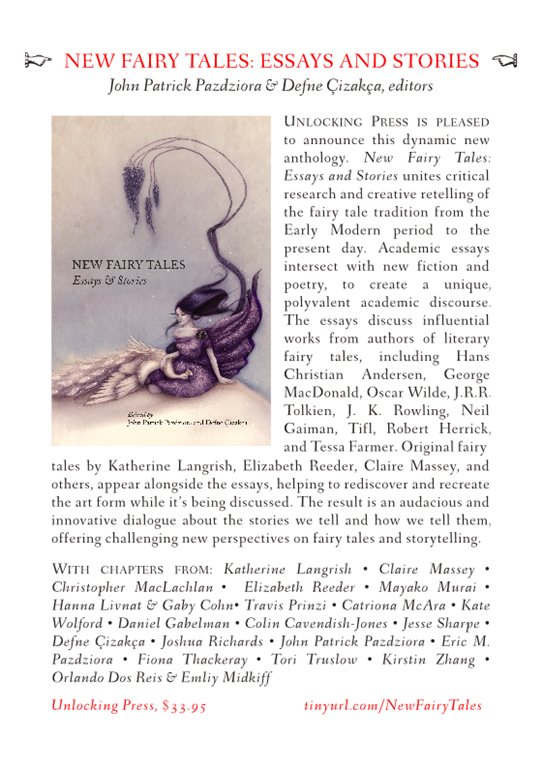 Christopher MacLachlan contributes an essay on Tolkien as a writer of fairy tales. Now, you should know that Dr MacLachlan is not only a titan in the world of Scottish literary studies; he also teaches as class on Tolkien at the University of St Andrews. So this chapter is rather astonishing in many ways. The cover was drawn by Faye Hanson. Dr Colin Cavendish-Jones, one of the finest conversationalists I’ve ever met, pens a shrewd and engaging essay on Oscar Wilde’s fairy tales—all of them. Dr Catriona McAra’s essay considers the new anti-fairy tales (in all senses of the term) by London artist Tessa Farmer. And if you’ve been pining for Harry Potter articles whilst The Hog’s Head has been undergoing its reconstructive programming—take heart! 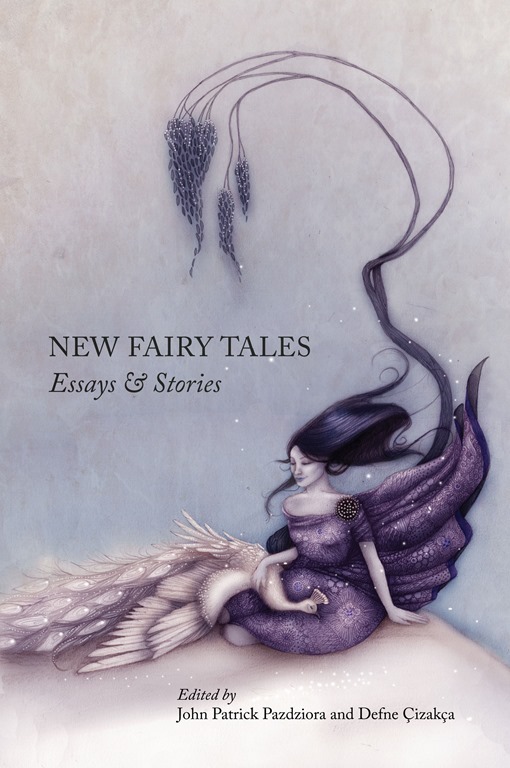 New Fairy Tales features a brand new chapter on Beedle the Bard by the one and only Travis Prinzi. And do you see why I say there are so many reasons you want to buy this book? Defne and I put together an index, which wound up not being necessary, so from time to time I may post bits of it here. There’s a reason for this, which will become apparent. But for now, the full TOC and a flier are below the jump.